What Is a Credit Reporting Agency and Why Should You Care? What Is a Credit Reporting Agency? When you’re working on repairing your credit, it’s smart to know how your credit information is collected so you know where to go to look for improvement. Credit reporting agencies are private companies that collect certain types of data to create your credit report. Lenders, credit card companies, and other creditors then access this information to determine whether or not to approve your application for credit and how much interest to charge. While there are many small credit reporting agencies (also referred to as credit bureaus), the three main ones are Equifax, Experian, and TransUnion. These are the ones that major creditors reference when requesting your credit history for applications. Let’s find out who these three credit bureaus are, what they do, and how they affect you. 1 What information do the credit bureaus collect? 2 How is this credit information used? 3 What’s the difference between a credit report and a credit score? 4 How long can credit bureaus report your information? 5 Where can you get a copy of your credit report? 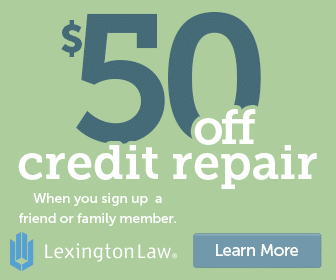 6 What is the Fair Credit Reporting Act? 7 Are all three of your credit reports exactly the same? What information do the credit bureaus collect? Credit bureaus were born as a way for financial institutions to determine whether or not they could trust potential customers to repay their loans. Decades ago, local businesses would share lists of people who either did or did not pay their tabs. As families became more mobile throughout the country, it was more difficult to figure out a person’s past. Eventually, the credit bureaus were created to fill this need. Today Experian, Equifax, and TransUnion gather financial related information about individual consumers. Creditors choose to submit this information in order to contribute to an accurate reporting process. So what exactly is gathered on your credit report? Basically, you’ll find any information related to your use of credit. You’ll find just about any type of loan you’ve taken out, whether it’s a car loan, student loan, or mortgage. Your creditor will most likely report the original loan amount, the current loan balance, how much your monthly payments are, and how successful your payment history is. Credit cards and other lines of credit are also included. Each month, most credit card companies update with your new balance and how much you’ve paid down on your card. If you’ve become delinquent or have defaulted on any type of account, this information is also listed on your report. Finally, you’ll see any type of public records you may have, such as a judgment or a tax lien. This information is gathered directly from the court systems and is then imported to your credit report. How is this credit information used? As we mentioned, the information listed on your credit report is primarily used by creditors to determine your application approval. You might be applying for a loan or a credit card, and the creditor wants to see that you’re financially able to repay your debt and personally willing to do so as well. Part of the application process is to have your credit report pulled. Depending on the creditor, they may just choose one of the major credit reporting agencies, or all three. They’ll carefully review your credit history to get a sense of how much debt you have and how well you’ve paid off your debt in the past. Too much outstanding debt or a history or missed payments both serve as red flags. Similarly, and charged off accounts, public records, or other negative items can result in paying higher interest rates and borrowing smaller amounts of money. Your credit report isn’t only accessed when you apply for a loan or credit card. Companies can also purchase some of your credit information to help create tailored offers for you. That’s why you get certain credit card or loan offers in the mail. Your information is pulled with other consumers from a similar credit background and then you’re invited to apply for specific financial products. However, your credit history can be accessed by those even outside the finance field. With your consent, potential landlords and employers can run a credit check as part of your application. So if you have a shaky credit history, your chances of getting your dream job or apartment could suffer. Not all jobs force you to get a credit check, but if you’re in an industry that’s related to finance or you’ll be handling money a lot, there’s a strong chance it’ll happen. What’s the difference between a credit report and a credit score? Your credit report and your credit score are certainly related to each other, but they’re not the same thing. Your credit report is an actual form from the credit bureaus that lists out all of your relevant financial information. Your credit score, on the other hand, doesn’t necessarily come from the credit bureaus and is a number used to depict your creditworthiness. There are two main types of credit scores used by creditors. The most commonly used one is the FICO score, which is created by the Fair Isaac Corporation. It’s been around since the late 1980s and uses a complex algorithm to analyze the data in your report and assign you a rating on a scale of 300 to 850. The higher the number, the better credit you have. When people work on repairing their credit, they’re trying to get a higher number on that scale. While FICO is the most widely known credit score, the three credit bureaus joined together to create their own version, called the VantageScore. They started off using a different range of values, but that got confusing for people. Now, they also operate using a 300 to 850 scale. Similar to the FICO score, VantageScore also interprets your credit information to give you a score. However, not as many lenders use this model so most people prefer to monitor their FICO score. The two scoring models use similar factors in creating credit scores, but you’ll still likely find variances between the two. If you decide to track the progress of your credit by monitoring your scores, find out which one is used by your preferred lender or creditor. That way you know where you stand in the eyes of the financial institution you work with most frequently. How long can credit bureaus report your information? Credit bureaus typically keep positive information on your report indefinitely, especially when it comes to open accounts because your length of credit history affects your credit score. If you close your account, its age still contributes to your credit score for another seven years before dropping off completely. It is possible to get information removed early if it is incorrect, incomplete, or misleading. To do so, you must file a dispute with the credit bureau. The process can take some time, so it’s good to get started as soon as you notice something wrong on your credit report. Note that you do need to send a separate dispute request to each credit reporting agency that lists the incorrect information. Common mistakes on credit reports include information that should have aged off, accounts listed as “closed by lender” instead of closed by you, and accounts listed more than once. That last one is particularly common among debts that have been sold and resold to multiple collection agencies. Once you submit your dispute to the credit bureau, it has 30 days to complete its investigation. This timeframe is required by law so be sure to mark your calendar. You can get access to free copies of all three of your credit reports each year. 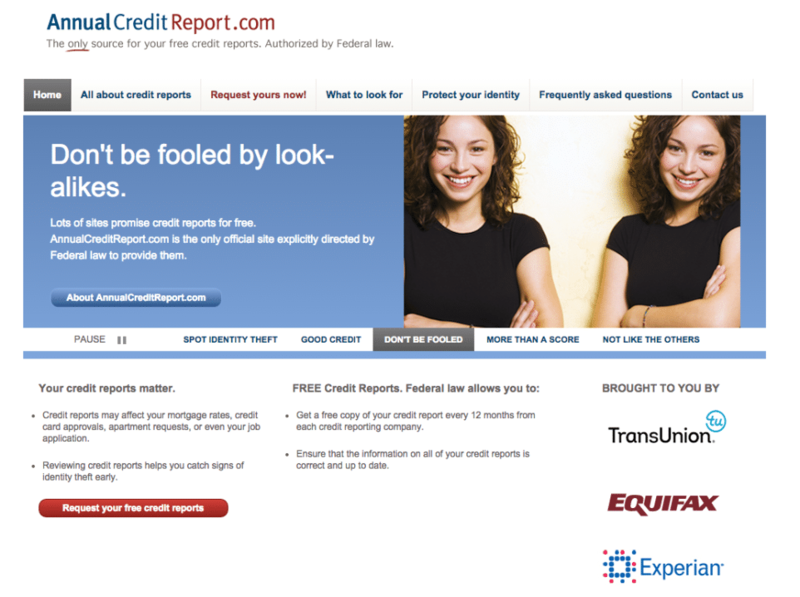 They are available through the website AnnualCreditReport.com, which is operated by Equifax, Experian, and TransUnion. You can either request all three reports at once or stagger them throughout the year. Also. note that your ability to get free reports doesn’t go by the calendar year, but by a 12-month period. So, if you requested a credit report from TransUnion in October 2016, you wouldn’t be able to get another free one from that credit reporting agency until October 2017. Think about your financial goals over the year to decide the best time to access them. Are you planning on applying for a major loan soon? You might want to check them all at once. Do you want to monitor your credit repair progress or check for identity theft? Consider spacing them out. When you visit the AnnualCreditReport.com website, you have the option of either downloading your chosen free credit reports or mailing in a request for physical copies. In order to verify your identity with the download option, you’ll be required to answer a series of personal and financial questions. However, once you’ve completed that portion, the download is immediate. The mailed form is extremely simple, but it takes a few weeks to receive your credit reports. The option you choose is purely based on personal preference and desired timeline. It’s also worth noting the credit reporting agencies provide a wealth of free resources on the website. You can access tons of information on recognizing identity theft, what affects your credit score, and what to look out for on your free credit report. It’s a great place to reference, whether you’re new to credit reports or not. The Fair Credit Reporting Act (or FCRA) is a federal law designed to protect consumers when it comes to their credit reports. This legislation gives you the right to dispute any information in the credit report that you believe to be inaccurate or misleading. It also allows you to request your file at any time. You’re allowed one free copy of each of your three credit reports once every 12 months. There are a few other instances that allow you to access a copy for free, such as becoming a victim of identity theft. Regularly checking on your credit reports at least once a year is a smart way to ensure your credit profile is being accurately portrayed to creditors. It can also tip you off to any potential identity theft or fraud that’s been committed under your name. Otherwise, you may not even know that false accounts have been created using your personal information until you experience a major drop in your credit score. Familiarize yourself with the details of the FCRA in order to maximize your credit and protect your best interests. Are all three of your credit reports exactly the same? Each of your credit reports from Equifax, Experian, and TransUnion are likely to differ in some way. Obviously, the basics like your personal and contact information should be identical (if they’re not, please request an update). But beyond that, you might have some accounts listed on one credit report that aren’t listed on the others. 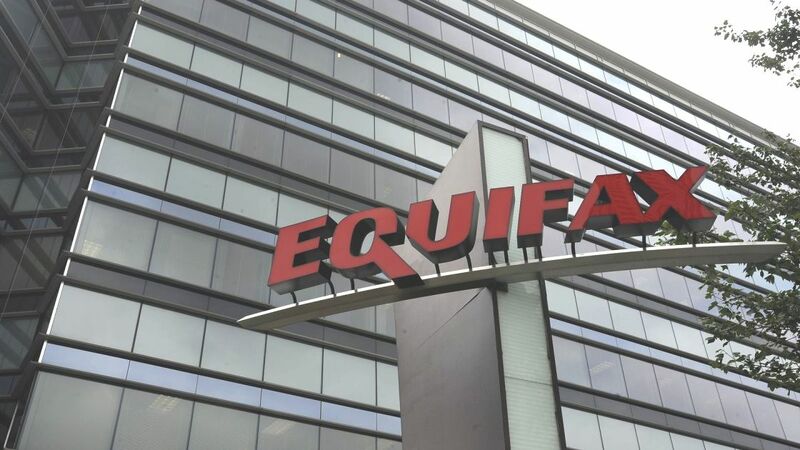 This may sound strange since the intention behind creating the credit bureaus was to provide creditors with a comprehensive view of a consumer’s creditworthiness. But there’s no way that a credit bureau can force a credit card company or lender to report on their customers’ credit history. Many do it voluntarily but may have a partnership with just one or two of the credit bureaus. So it’s very unlikely that any individual report gives the full picture of your credit. This results in two effects on your credit. The first is that you must scour all three of your reports to make sure they’re accurate. If you just assume the information is reported the same way, you could be sorely disappointed — and your credit score could suffer. Another issue is if you get a credit card or take out a loan in the hopes that your timely payments will help build or your rebuild your credit. But if that creditor doesn’t report to all (or any) of the credit bureaus, you likely won’t see the progress you want. As part of your selection process for a loan or a card, find out which credit bureaus the credit bureau actually reports to. Also, make sure they report positive payments in addition to negative ones.